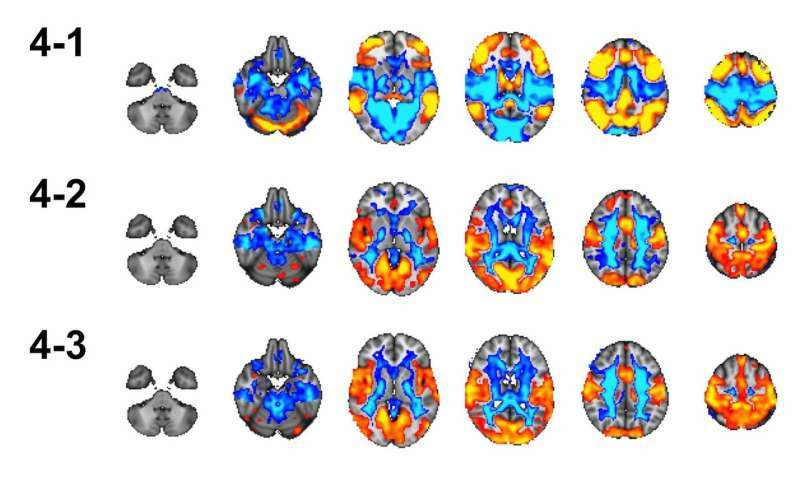 Some brain networks become more densely connected during adolescence while others become less so, according to a new analysis published in eNeuro of neuroimaging data collected from more than 700 children and adolescents from the Philadelphia Neurodevelopmental Cohort. These changes in network connectivity may underlie the refinement of cognitive abilities that develop during the teenage years. Although the human brain's default and executive networks are mostly developed by early childhood, the characteristics of key nodes, or hubs, in these networks continue to mature into adulthood. Many of these changes emerge during adolescence, a crucial transitional period with lasting influence on an individual's mental health. Knut Kolskår, Lars Westlye, and colleagues examined the centrality of these hubs, or how widely and strongly they are connected with other parts of the network, among 8- to 22-year-olds at rest and during a working memory task. The researchers found that the centrality of executive network nodes increased with age while centrality of default network nodes decreased with age. Improved performance on the working memory task was associated with the differences in the connectivity of these networks, which may enhance information processing by reducing the interference of network nodes that may disrupt performance.